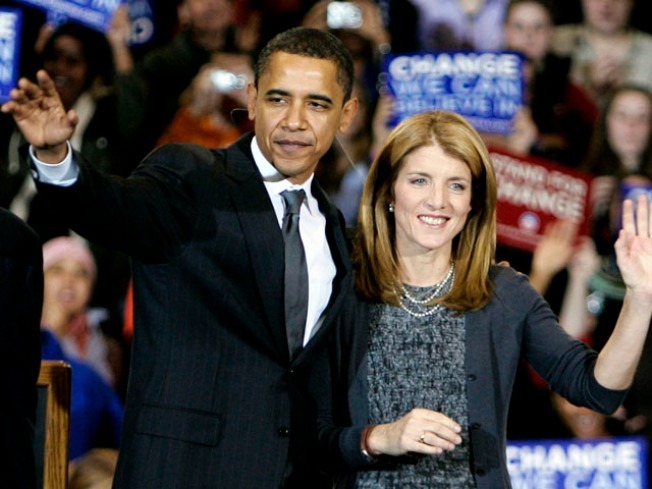 Caroline Kennedy says her work on Sen. Barack Obama's presidential campaign encouraged her to pursue a career in public service. In her first sit-down interview since she emerged as a Senate hopeful, the 51-year-old daughter of President John F. Kennedy told The Associated Press that she has always pondered jumping into politics, but waited for the right moment. "I am an unconventional choice. I understand that. I haven't pursued the traditional path. But I think that in our public life today, we're starting to see there are many ways into public life and public service," she said. VIDEO: "My Mom Would Be Proud"
In his inaugural speech in January 1961, President John F. Kennedy left us with this quote: "Ask not what your country can do for you. Ask what you can do for your country." Now his daughter Caroline is asking New Yorkers how she can be of service. A wife, a mother of three, a lawyer, a best-selling author and an education activist, Kennedy said she can envision herself as a senator a decade from now after making her children her top priority for the last two decades. "This is going to be a multiyear effort to fix this economic crisis. So in order to be effective, I would plan to stay at it," Kennedy said in a wide-ranging interview at the Gee Whiz diner a few blocks north of the World Trade Center site. Between bites of a grilled cheese and bacon sandwich, Kennedy said the Sept. 11 terrorist attacks and her work for Barack Obama's presidential campaign inspired her to act on her public service impulses. She asked Gov. David Paterson 11 days ago to consider her for the position Sen. Hillary Rodham Clinton will give up if she is confirmed as secretary of state. "He encouraged me. He said he has a lot of qualified candidates," Kennedy said. More than a half-dozen elected officials are vying for the seat, including New York Attorney General Andrew Cuomo and several members of Congress. Since word of her interest leaked out in early December, Kennedy has faced sometimes sharp criticism that she cut in line ahead of politicians with more experience and has acted as if she were entitled to it because of her political lineage. "Anybody who knows me knows I haven't really lived that way. And I think that in my family, I come into this thinking I have to work twice as hard as anybody else. Nobody's entitled to anything, certainly not me," she said. Yet, she noted that she has good relationships with key people in Washington, including the president-elect. "And I would love to put that to work," she said. Another of her links is her uncle, Massachusetts Sen. Edward Kennedy. She said she feels the pull to public service inspired by her father. "Many people remember that spirit that President Kennedy summoned forth," she said. "Many people look to me as somebody who embodies that sense of possibility. I'm not saying that I am anything like him, I'm just saying there's a spirit that I think I've grown up with that is something that means a tremendous amount to me." 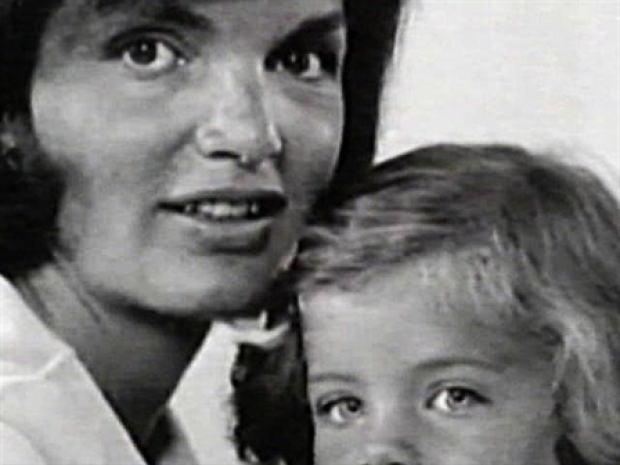 She also credited her mother, Jacqueline Kennedy Onassis, with giving her the courage to run. "I think my mother ... made it clear that you have to live life by your own terms and you have to not worry about what other people think and you have to have the courage to do the unexpected," she said. "Going into politics is something people have asked me about forever," Kennedy said. Since Kennedy's name first surfaced as a possible replacement for Clinton, her advisers have shielded her from the media, with the exception of a few brief interviews on a swing through upstate New York and a visit to Harlem with the Rev. Al Sharpton. Kennedy said Paterson told her he did not want people to appear to be campaigning for the position. She agreed to sit down for interviews Friday with The Associated Press and NY1 television. Kennedy said she wished her brother, John F. Kennedy Jr., could see the drama that has developed over her quest for the Senate. "He would be laughing his head off at seeing what's going on right now," she said. Kennedy offered no excuses for why she failed to vote in a number of elections since registering in New York City in 1988, including in 1994 when Sen. Daniel Patrick Moynihan was up for re-election for the seat she hopes to take over. Former New York Rep. Geraldine Ferraro, who urged Paterson last weekend to consider experienced members of Congress for the job, said she was glad to hear Kennedy was willing to "work twice as hard as others." "I think it's great she understands she will have a tougher time," Ferraro said. "I don't know if she can work twice as hard because having been a member of Congress I know they work 24-7. They already work hard."